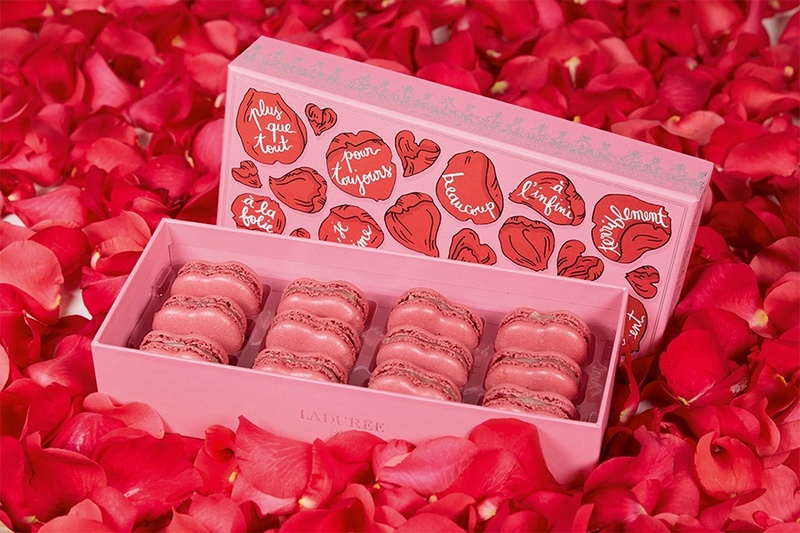 Ladurée celebrates love with the À la Folie collection, in reference to the whimsical ‘Daisy Petals’ game. The red rose plays the role of the daisy and breaks into thousands of petals that impart sweet words of love. The artist Marie-Victoire de Bascher used her playful vision of love and games to design this exclusive collection. Delight in two limited-edition macaron gift boxes that reveal a note of adoration designed into the box, expressing your feelings to your special someone. Indulge in decadent flavors like Timut pepper, rose, and raspberry, plus discover special gift box of four chocolates in milk or dark flavors.